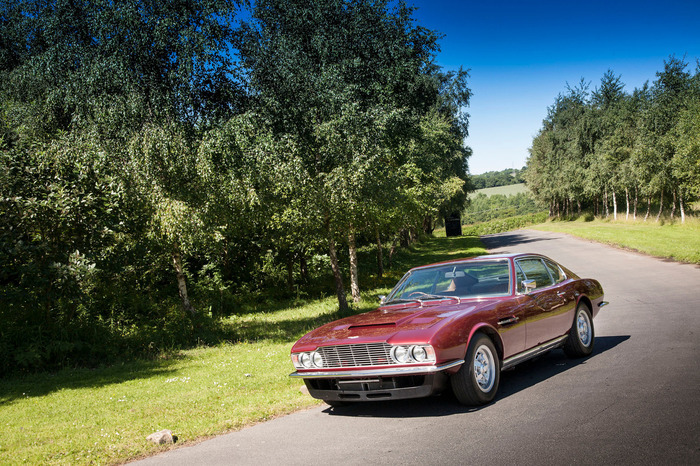 We are delighted to offer for sale this stunning Aston Martin DBS Prototype that represents one of the most important milestones in Aston Martin history: the commencement of the V8 generation. Not only that, but '5002/R' started life in the autumn of 1967 as the second production six-cylinder DBS before going on to spearhead development of the V8-engined version. A full description of this historically important Aston Martin is detailed below. Since acquisition, the complex original fuel-injection has been rebuilt and the clutch renewed (photographs and invoices on file) but apart from that and a previous re-spray back to Dubonnet Red, this unique car is described as un-restored and superbly preserved. 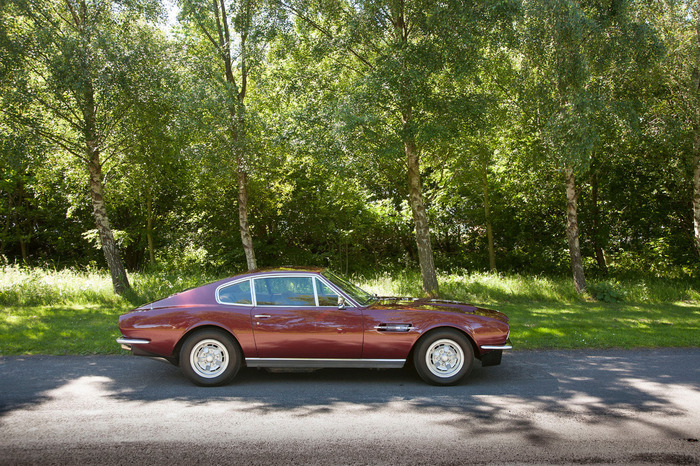 Although always intended to house the new Tadek Marek-designed V8, the DBS first appeared with the 4.0-litre six of the concurrently produced DB6. 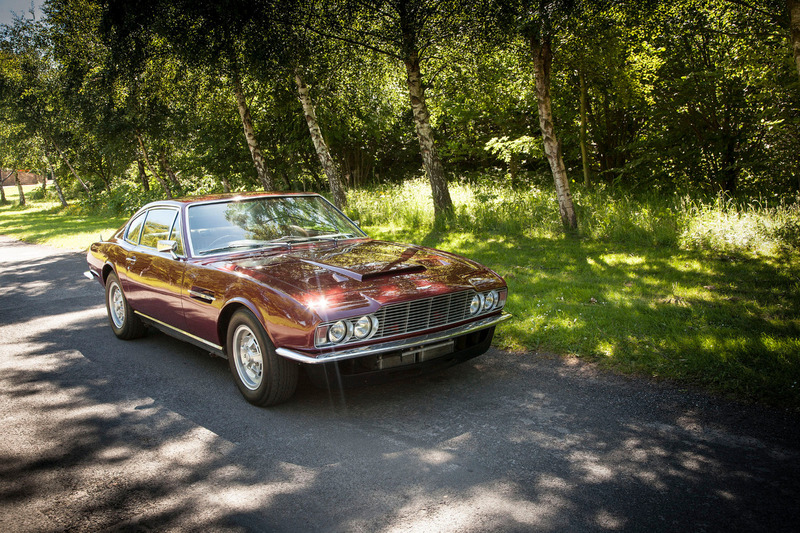 Styled in-house by William Towns, the four-seater DBS abandoned the curvy lines of the earlier Touring, touring-styled DB models in favour of a sharper, hard-edged look in the modern idiom. The new car employed a platform-type chassis with independent suspension all round: wishbone and coil-spring at the front, De Dion with Watts linkage at the rear. Bigger and more luxuriously appointed than the DB6, the heavier DBS disappointed some by virtue of its slightly reduced performance, but there were no complaints when the V8 arrived in 1969. 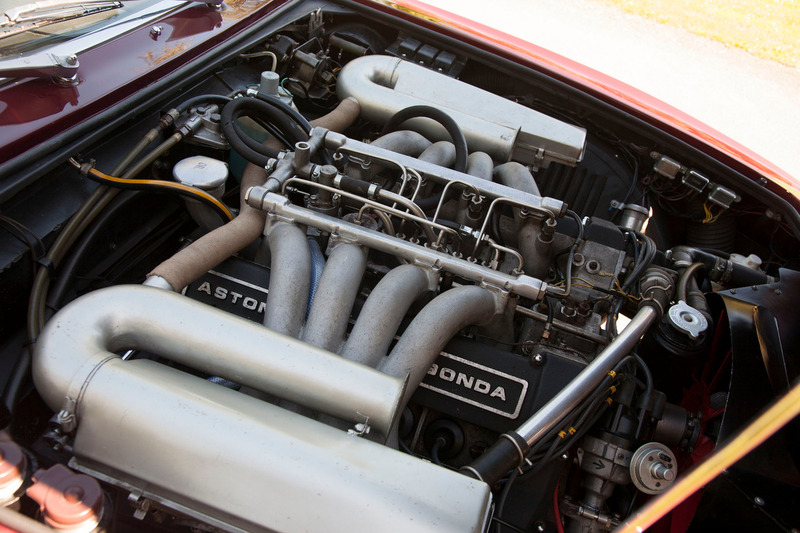 With an estimated 345bhp available from its 5,340cc, Bosch fuel-injected, four-cam motor, the DBS V8 could reach 100mph in under 14 seconds, running on to a top speed of 160mph - a staggering performance achievement in those days and one which fully justified the claim that it was the fastest production car in the world. Even in automatic transmission form the V8 could reach 100mph in around 15 seconds and better 145mph flat-out. Retained by the factory for development purposes, '5002/R' was originally fitted with six-cylinder engine number '400/3269/SVC' (a Vantage unit) and first registered as 'BPP 6F', as seen in many press articles at the time. The original colour scheme was Dubonnet with natural hide interior, the exterior colour being changed to yellow at a later date. Aston Martin's first attempt at a V8 was a 5.0-litre unit, as raced by Lola at Le Mans, and '5002/R' was initially fitted with one of these before it was replaced with one of the more reliable 5.3-litre production engines: 'V/540/278', which had been taken from another of the development cars. 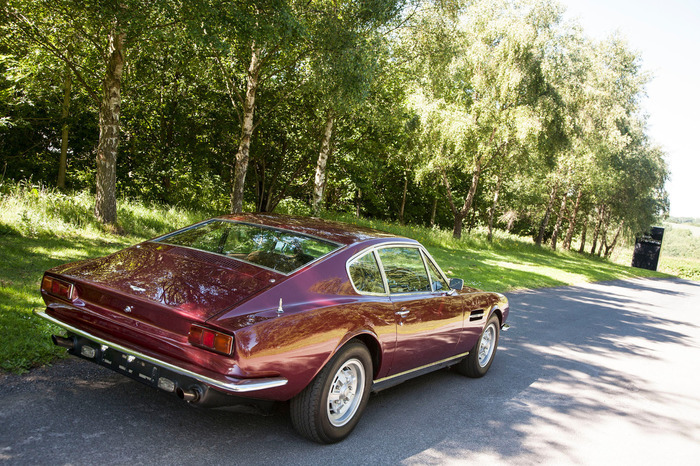 High-speed testing on the Continent was undertaken to improve stability at the higher speeds the V8 was capable of, during which it was found that wire wheels were not up to the task, hence the switch to alloy wheels for the production DBS V8. In its edition ofthe 2nd October 1969 edition of, Autocar, they published a technical analysis of the new DBS V8, headed by a photograph of 'BPP 6F', probably supplied by the factory. 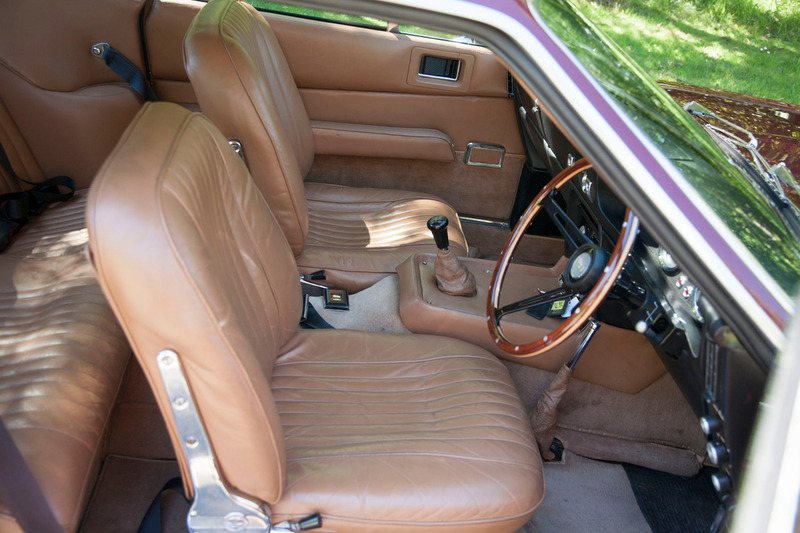 The accompanying (copy) guarantee form lists the Agent as 'Aston Martin Lagonda Limited' and the Purchaser as 'Sales Department Demonstration Vehicle', while still quoting the number of the original six-cylinder engine. It notes that the car was equipped with the Vantage engine ('400/3269/SVC'), Motorola radio, seat belt anchorage points, and power assisted steering. The DBS was passed to Sales on 14th June 1968, while the old-style V5 registration document gives the date of first registration as 6th March 1968. Only one owner is listed on the guarantee form: R Smith Esq of Ravenstone, Buckinghamshire. Nowadays it is unthinkable that a non type-approved development car would be sold off to the trade, but things were more relaxed 50 years ago and the permanently cash-strapped Aston Martin would have been reluctant to forgo the profit resulting from such sales, hence the survival of many of these intriguing 'one-offs'. In 1978, by which time it had been reregistered as '222 HOH', '5002/R' was owned by Mr Frederick Stewart Bond of Fulwood, Preston, who had acquired it on 7th September of that year (copy V5 on file). In 1979, the Aston was offered for sale at auction, described as 'used by the factory as a development car, and... originally fitted with a six-cylinder engine'. 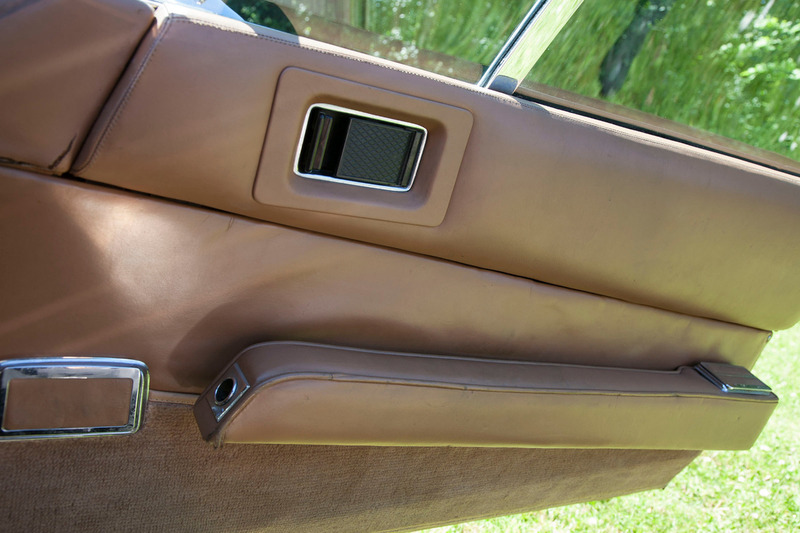 It was also said to retain some special features, the most obvious being the extra bonnet vents. Sold at the auction for £4,900, the this DBS V8 prototype passed into the ownership of Mr Anthony Hall-Griffin of Balsall Common, Coventry (copy V5 on file). 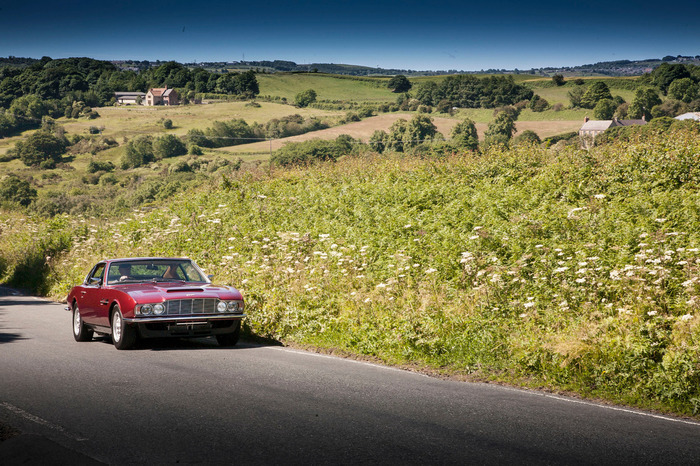 The car remained in Mr Hall-Griffin's ownership for the next 35 years until it was purchased in April 2014 via renowned marque specialists, Aston Workshop, by for the current vendor, a prominent Aston Martin collector based in the Netherlands. The sales invoice is available, and the accompanying history file also contains the aforementioned copies of the registration and factory records, assorted items of correspondence, sundry invoices, a quantity of expired tax discs and MoTs, a UK V5C Registration Certificate, and various other historical documents.